This is a flat roof luxury house with 4 bedrooms. 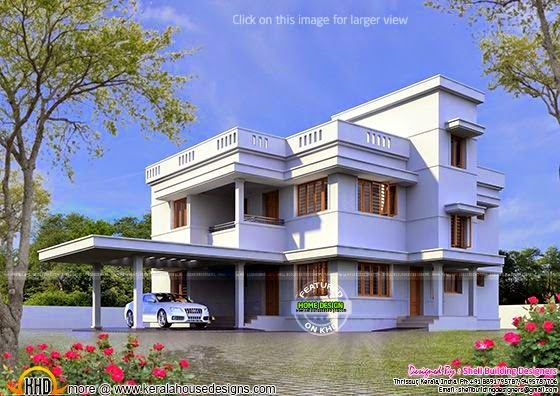 Total area of this house is 3397 Square feet (315 square meter) (377 square yards). The house have a second floor also which only have a stair room. Designed by Shell building designers, Thrissur, Kerala. Ground floor : 1601 Sq.Ft. First floor : 1601 Sq.Ft. Second floor : 195 Sq.Ft.